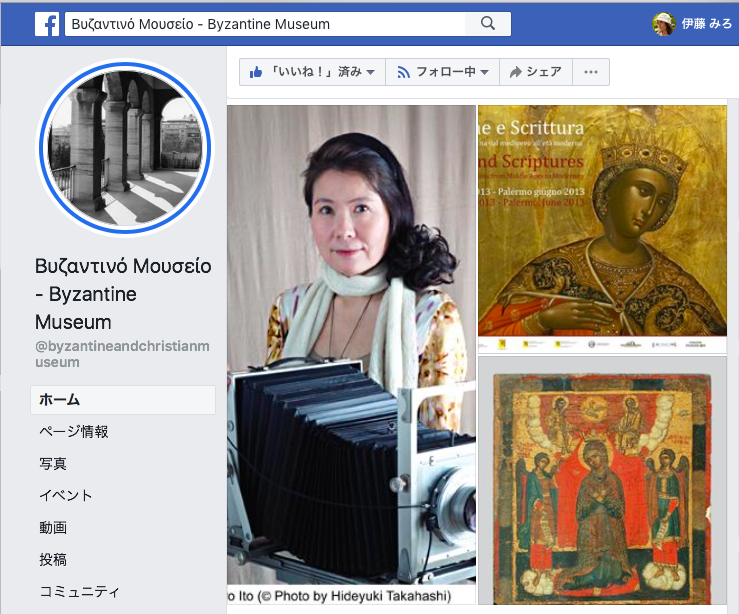 Following Miro Ito’s speaker engagement as co-organizer of the “Road of Light and Hope” at the kick-off event of the 120th anniversary of Greece-Japan diplomatic ties (14th January), she will hold a lecture accompanying the exhibition at the Byzantine and Christian Museum in Athens on the 29th January, 2019 (@19:30). Our underlying theme of “Road of Light and Hope” is to show the universality permeating throughout the ancient Hellenistic/Buddhist heritage along the Silk Road as evidence of the unity of East and West, of North and South from Athens to Nara, Japan’s first permanent capital established, 1400 years ago. Miro Ito will speak about “Art as Media is a Message for Universality”. 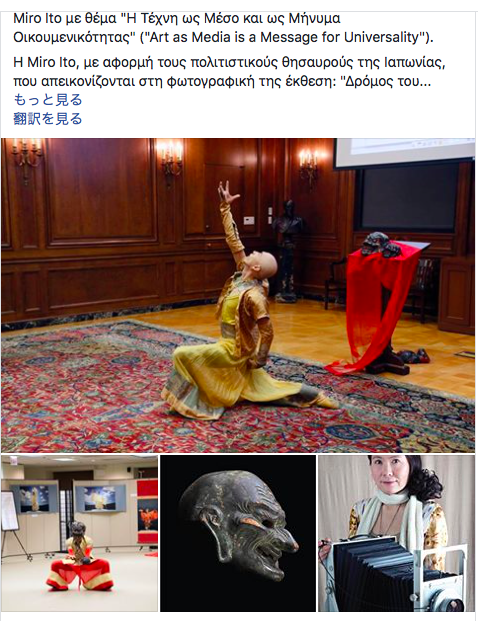 In addition to the lecture, Media Art League will present a very unique and rare Gigaku ballet performance by Shunso (Artistic Direction by Miro Ito). The exhibition will run from 16th January – 10th February. Tel: (+30) 213 213 9517, (+30) 213 213 9572.